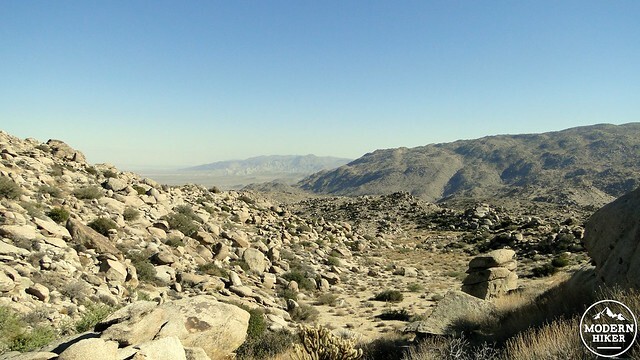 With some of the most developed and popular areas of Anza-Borrego State Park located around the town of Borrego Springs, many visitors find themselves driving down the winding, slightly terrifying, but always spectacular Montezuma Valley Road to reach their destination. This road drops over 3,000′ through the San Ysidro Mountains from the community of Ranchita to the main commercial area for Borrego Springs. Along the way, the road provides spectacular views over Borrego Valley and the Santa Rosa Mountains that easily encompasses the Salton Sea. 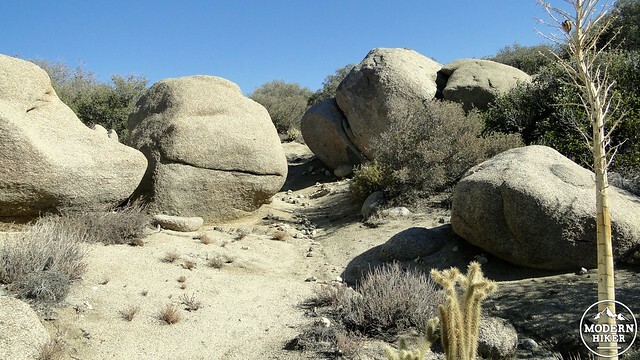 If you are taking this route into town, but you want to break the drive up to stretch your legs and take in a section of the high country terrain along Montezuma Highway, the easy 2.1 mile trail starting and ending at Culp Valley Primitive Camp is a great option for a quick and easy hike. 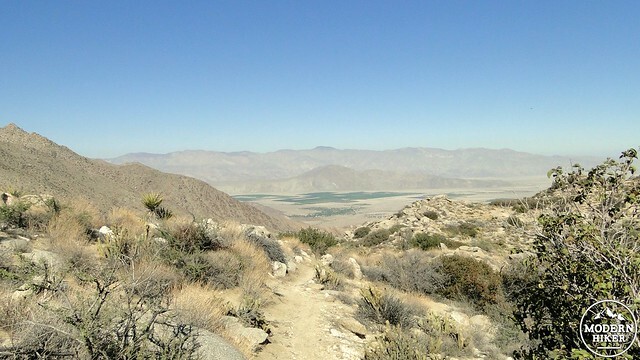 This trail incorporates a brief stretch of the old California Riding and Hiking Trail (CRHT), visits a high desert spring surrounded by thick vegetation, and takes in an excellent view of Borrego Valley, the Santa Rosa Mountains, and Hellhole Canyon. Starting from the fork in the road just before the campground, take the road to the left and begin a gentle ascent along a ridge. At this point, the trail is dirt road passing through a transition zone between higher elevation chaparral and desert plant communities. 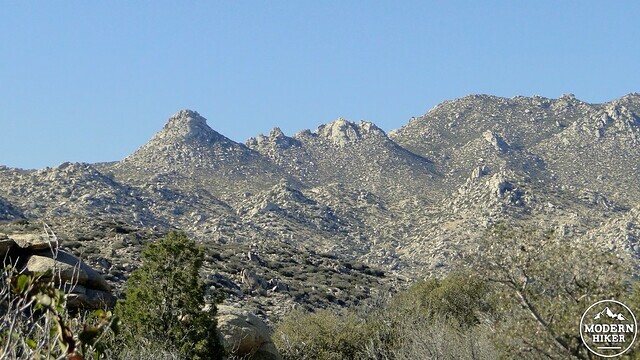 You will see a mixture of both communities, which chamise, buckwheat, sugar bush, and manzanita representing the chaparral and cholla cacti and the occasional juniper representing the desert. Note that I took a wrong turn on the CRHT, which branches off to the left on the top of this ridge. Continue straight to begin a descent toward Pena Spring. This spring serves as an important water source for local wildlife, which includes bighorn sheep that roam the San Ysidro Mountain area. The spring also reportedly receives its name from a daughter of the Paroli family that homesteaded in the valley just south of the Culp Valley Camp area. The site of the old Paroli homestead is in the same valley and can be accessed by car from a dirt access road about a mile down Montezuma Valley Road. In addition to homesteaders, this area was an important stopping point for Cahuila Indians making an annual migration from the valley below to the cooler highlands around what is now Ranchita. The state park doesn’t advertise the locations, but there are over 25 cultural sites tucked into the region. 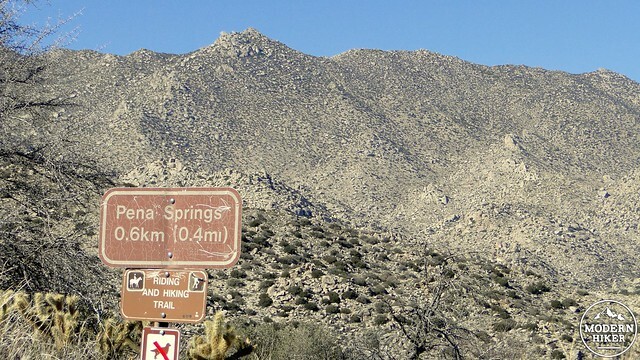 After visiting the cool, damp area around Pena Spring, retrace your route back upslope to the junction with the CHRT and veer left to begin a moderate climb along the southern wall of Hellhole Canyon, which lies over 1,200′ below. Once you gain the top of this ridge, the trail will begin to descend toward a viewpoint that takes in an impressive view of Borrego Valley framed by the widening walls of Hellhole Canyon. After the viewpoint, the trail will begin to bend right to head back to the starting point. The trail becomes a smooth, well-maintained path at this point that provides access for individuals with physical handicaps. You will pass another spot that allows for good views down Culp Valley and Tubb Canyon with Pinyon Ridge in the background before the trail winds down into the spread-out grounds of Culp Valley Primitive Camp. The only facilities at the campground is a vault toilet, but the seclusion of the sites makes this a nice place to enjoy a bit of desert camping. Since Culp Valley is pretty well removed from most urban light pollution, it makes an excellent spot for stargazing. After passing through the campground, the trail will return to the fork in the road, where you can get back in the car and complete the journey to whatever destination awaits you. 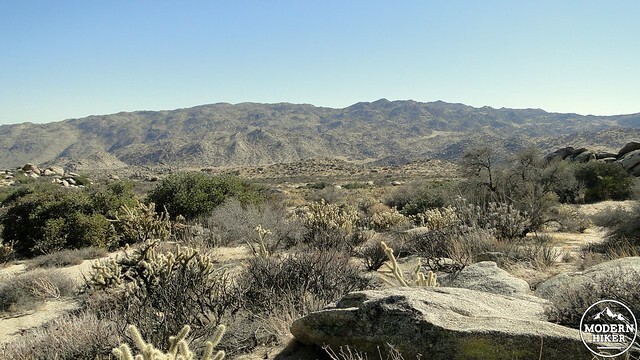 – Even though this is a desert hike, it would be possible to take this hike during the warmer summer months, provided you go early or later in the day. 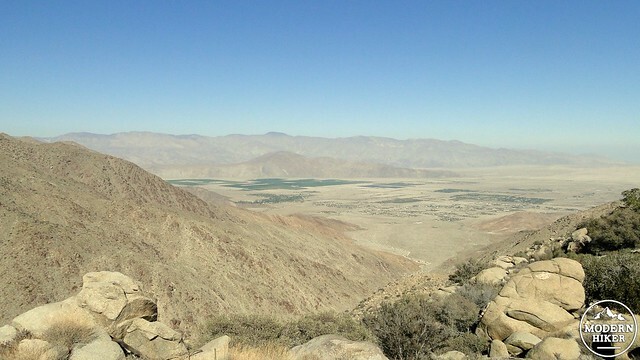 Culp Valley is several thousand feet above Borrego Valley, which means it is often 10-15 degrees cooler. 95 degree temps in Borrego Springs could mean 80 degree temps up here. As with all desert hiking, however, you will want to make sure you have abundant water, as dehydration can happen in a hurry. The trail goes through a few transitions from dirt road to rocky single-track to smooth all-access trail. It's all pretty easy to follow, and none of the terrain presents a challenge. Culp Valley Primitive Camp is a great option for camping. As this is a primitive camp, it does not have any amenities beyond a pit toilet. This means that if you want to have a campfire, you will need to bring a metal container and pack out your ash. 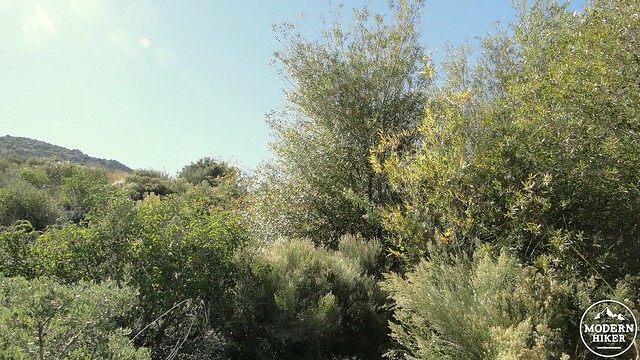 The nearest developed campground is at Borrego Palm Canyon Campground. From San Diego, take I-8 to Highway 79 past Julian and toward Warner Springs. Turn right onto San Felipe Road, and make the next right on Montezuma Valley Road. 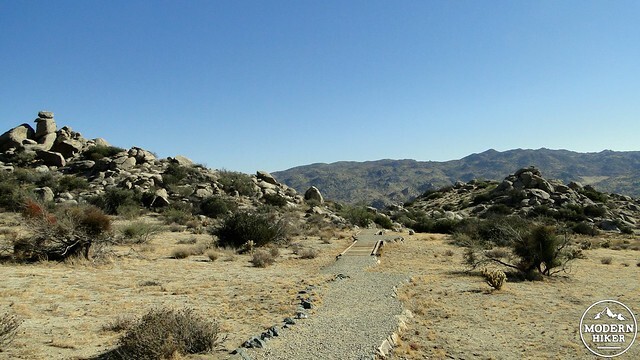 Follow Montezuma Valley Road through the village of Ranchita to enter Anza-Borrego Desert State Park. The road begins a winding descent at the large sign signaling the park boundary. Culp Valley Road is 2.6 miles from this sign on the left hand side. Drive in to the junction and park.